My new book, Eat Fat, Get Thin, provides people with the real facts on fat. I go through the research on fat and the science behind what fat does to our body. For decades now, we’ve declared a war on fat and introduced some of the most toxic crap into our diet – including low fat yogurts, milks, cookies, cakes and a lot of processed carbs and sugar! But fat is not evil! In fact, the right fats can speed up your metabolism, make your brain work better and faster, balance your hormones and they can even help your skin glow. The important thing to know is which fats are good and which are bad. So I’ve put together a little fat cheat sheet that you can reference in times of need. These are based on my recommendations to eat fats rich in omega 3s and fats that lower inflammation and increase fat burning, and avoid foods with inflammatory fats like vegetable oils and foods high in heavy metals, pesticides and hormones (dairy). GOOD | Grass-fed, organic, sustainably raised lamb, beef, bison, venison; organic chicken, duck and turkey; omega 3 pasture-raised eggs, organic, free-range, pasture-raised lard. BAD | Feedlot animal meats; non-organic poultry. GOOD | Wild fatty fish: sardines, mackerel, herring, black cod, and wild salmon. Shellfish, including clams, oysters, mussels, shrimp, scallops, and crab; calamari or octopus. BAD | Lobster, tuna, catfish, king mackerel, Chilean sea bass, swordfish. GOOD | Grass-fed butter, ghee, unsweetened nut and seed milks (almond, cashew, hemp, hazelnut). BAD | Milk, yogurt, cheese, cream, regular butter, soy milk. GOOD | Almonds, macadamia, walnuts, pecans, and Brazil nuts. Hemp, chia, pumpkin, sesame, flax. Nuts and seed butters (without added sugars or bad oils). GOOD | Coconut butter; organic, virgin, cold-pressed, unrefined coconut oil; organic, extra-virgin cold-pressed olive oil; MCT oil; organic flax seed oil; organic, expeller-pressed refined avocado oil; walnut, pumpkin seed, pistachio and hemp oils. BAD | Safflower, soybean, sunflower, corn, and cottonseed oils; hydrogenated or partially hydrogenated oils; margarine and shortening. GOOD| Avocado, olives, cacao butter, dark chocolate. Share the post "Good Fats vs. Bad Fats: Dr. Hyman’s Healthy Cheat Sheet"
I noticed that cheese is declared a bad fat here. What is the scientific backing to this? Like grass-fed butter, high-quality artisan cheese has many healthy benefits, including probiotics. Why have you shunned an entire group of nutritious and delicious cheese? This seems very, very wrong. Hi Dr. Hyman, heard you speak last summer at the Chopra Center and was blown away by your knowledge, willingness to help others, intelligence and stage presence. I thought that maybe I saw on your website that some soy– organic and in small quantities– is fine (for instance if I have it in my coffee a few days a week?). Is this still the case? Also, why are tuna and safflower oil on the “bad list?” Thanks for any clarification that you can give! Curious to understand where raw milk and raw cheeses figure…. I’m wondering why nut milks (that usually contain carageenan and are made from unsprouted nuts) are recommended but organic or better yet, raw milk products, cheeses, and butter is not? this is a list without any links to research. basically, a “trust me” list. too many of these things online. Why is my Tuna Albacore solid is bad for me? I really missed not eating. Dr, you forgot to mention raw, local goat cheese and milk….these are not bad for some people. Vit K2 super important to our health along with the other fat soluble vitamins. Amy – He didn’t recommend the commercially prepared nut milks. I make my own using a single type or a blend of nuts, drpending on my mood. They taste so much better. They aren’t thick and don’t havee that weird flavor the store bought ones have. Thankfully someone is setting the record straight. I make a chocolate bar with cocoa butter & honey instead of dairy and (some) people are still stuck on the saturated fat. Love having this information when I do tasting demos at Whole Foods! 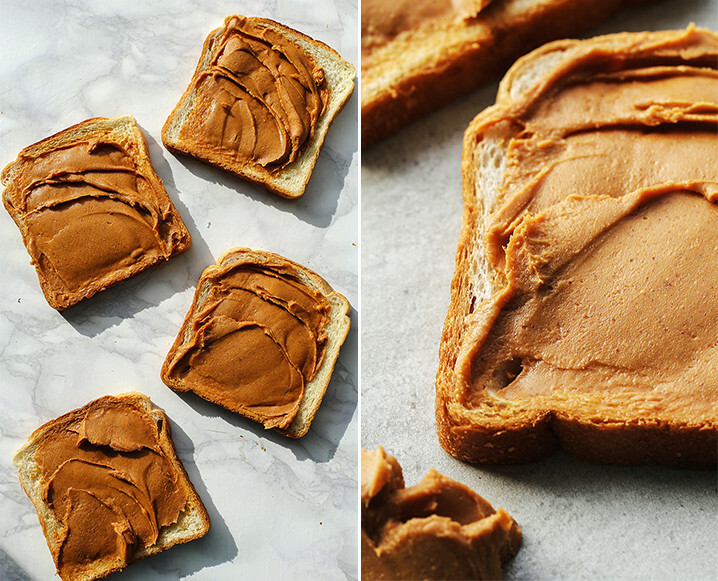 why peanut butter is bad? What would the possibility be of getting the recipe for your chocolate bar? Peanuts are all omega 6 oil, and no omega 3. Too much omega 6 is inflammatory. You should be eating twice as much omega 3 (which is anti-inflammatory) as omega 6. I clicked on this article through your weekly email. I also read another article from that same email (about hormones and emotions). This article says no to yogurt (which does not seem right at all) and the hormone article says you should be eating it.. please clarify. Also no tuna seems wrong too. be seen as a crime. I do not see any problem with organic full fat milk and greek yogurt, why should we consider them bad? Whats the evidence or even the rational behind this? I don’t see canola oil listed, but I believe it belongs on the bad list. I have an allergy to walnuts and almonds, so peanut butter is my butter of choice. I shoot for natural and now without salt. People–he wrote a book that answers all your questions. Where do beans fit on this list like kidney beans, black beans, lentils, garbanzos, white beans etc? Seems like a big missing area of the list. Peanuts alter your glycemic levels and that makes them unacceptable. Tuna is high in Mercury. Nothing wrong with plain yogurt and milk in your coffee. Nothing. Interesting you seem to argue with DR Hammond when he is the expert. If you disagree so violently seems like you’d just not eat the way he suggests and be done with it. That being said I appreciate all his efforts and am trying to eat the way he says. I do think it misleading to show a bunch of bread with peanut butter on it at the beginning though. Peanuts?? Peanut butter as well? Why? Peanuts (legumes) and dairy both have hormones in them which cause inflammation. Both are off the paleo diet. Organic doesn’t change the fact that milk comes from pregnant or a recently pregnant cow and that affects a lot of people. I have nut allergies.There are a lot of nuts in the recipes.Are there substitutes listed some where? What’s wrong with the fish as well? The reality is that the most common foods in the Standard American Diet have MUCH better alternatives. But we’re used to eating what we’re used to so we want to continue eating it then complain at all of the illnesses and discomforts our bodies respond with. –> Swap out the foods you’re used to eating which have “little benefits, high toxins” for others that are “high benefits, low/zero toxins” I belive is the way to navigate through all this health education instead of clinging on to the old paradigm of food you want to eat with every last defense. ie: Tuna lives very long, absorbs lots of mercury and all the other garbage (literally) from the ocean – you eat tuna you eat everything it ate and absorbed for 25 years. Why? Did you know fish get all their fatty oils (omegas) from the algae they eat at the bottom of the food chain? That knowledge was life changing for me. So cut out the middle-men/fish (and all the ecological and ethical destruction involved) and just buy algae. High-dense nutrition without the garbage should be the decision maker when figuring out what to eat. You can apply this answer to every question that was asked above. I have a family genetic heart disease (3X bypass age 50 and not fat or sedentary) and am a person who had followed all the guidelines for fat consumption (because our father survived the first heart attack and we paid attention) which are apparently all wrong. Those Drs had a study (The Framingham study, I believe) to back their preaching up. I have to ask…what are your studies and why should we trust them? Is milk bad because of the hormones?